To mark the closing year of the First War Centenary, our 2018 exhibition will reflect upon the participation of all nations, both from the Commonwealth and the wider world community. One hundred years ago a veteran of the conflict asserted his faith that in time “ the country would come back to life, the grass would grow again, the wild flowers return” and that the Fallen “would lie still and at peace below the singing birds, beside the serenely flowing rivers … they would be part of us for ever”. The 2018 exhibition will honour that vision by seeking the participation of peoples from all countries, that were actively involved in the conflict, in a spirit of fellowship and reconciliation to bring our programme to a fitting conclusion. The project is now widely recognised as having created a unique First World War exhibition. It has reached out to an international audience of more than 10 million people in nine countries. The collection is presented as a free-to-view outdoor exhibition to enable the greatest ease of access by the public. This final exhibition has been made possible by the generous support of Ashford Borough Council and the U.S. National WW1 Museum and Memorial. Friday 5 October - Sunday 18 November at the Navy Pier. Completely free to view in public parks, streets and city centres, the exhibition brings us the story of reconciliation across the lands of the warring nations. Once places of devastating violence, we now see landscapes of great beauty, testament to peace and remembrance. Visited by more than ten million people to date in the UK, France and as far afield as Turkey and New Zealand, Fields of Battle is perhaps the most viewed exhibition of the centenary period. The Fields of Battle Lands of Peace 14-18 project exists as a free to view exhibition purely as a result of the generosity of public donations and corporate sponsorship. Can you help us raise the necessary funds or sponsor the exhibition, to ensure our work is continued? Click the video to the right for an overview of the exhibition with an introduction by The Lord Mayor of London, Andrew Parmley. Mike Sheil addresses The Mayor of Kansas City, Congressmen, Trustees of the National World War One Museum and a special audience of American Citizens on Memorial Day. Click to the right for a video profile of the exhibition as it appeared in Guildhall Yard, London, between June 1st and July 3rd 2016. Featuring interviews with Photographer Mike Sheil and Historian Sir Hew Strachan, this short video also includes moving public feedback together with schoolchildrens' thoughts on the exhibition and the First World War itself. You have made an effort to contextualise your work. It is clear that your aim was not only to create art but also to engage with the military history of the sites you captured on film. Did this affect how you approached your photography? I used to be a commercial photographer but am now studying for an MA in military history. I've totally changed direction and I'm enjoying it. The exhibition that we have in Belfast and just had in London includes 19,000 words of captions - I wrote every single one. This all began when I first met Richard Holmes and began discussing the project. He advised me that I had to have two things: The location and some hold: a person or a story that was related to that place. To read more click on the image to the right to download the entire article in PDF form. Fields of Battle 14-18 is registered as a not-for-profit charity in the UK. 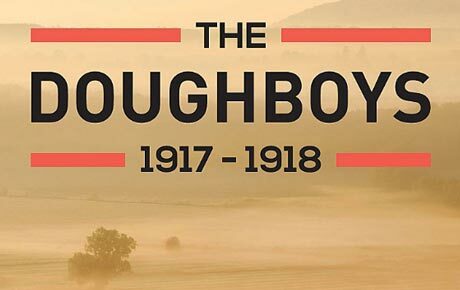 Can you help us raise the funds we need to tell the story of the men who lost their lives a century ago? Registered charity Fields of Battle 14-18 has, in collaboration with Mike Sheil, developed a unique and engaging outdoor exhibition, which is completely free for all to view. Based not on the horrors of war, but on how over time, nature has healed the battlefields, creating a link between the modern day and the personal dramas and stories these peaceful landscapes now hide. 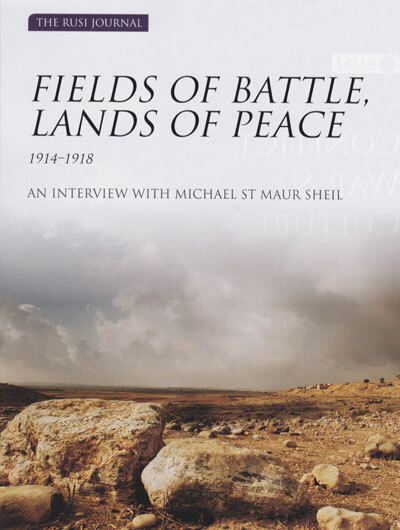 Fields of Battle - Lands of Peace 14-18 does not seek to explain the history of the First World War, but rather seeks to introduce people to the subject by revealing some of the landscapes of battle and illustrating the stories of the people who experienced those battles. It does so in a uniquely powerful manner, by bringing these events to people in their own communities via the medium of a free to view outdoor exhibition featuring the work of Michael St Maur Sheil. It is precisely this gap between interest and understanding of community and familial roles and changes in the War, that our photographs and interpretations are designed to address”. 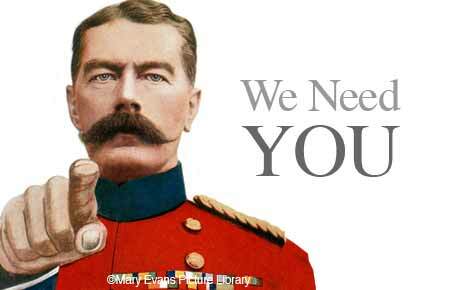 Would you like to help with a donation to Fields of Battle?